Campeggi's wife died in 1509 and Campeggi began a career in the Church. Pope Clement VII appointed Lorenzo Campeggi as Bishop of Bologna on 2nd December 1523. He was in Rome when the city was sacked by the troops of King Charles V of Spain in 1527. Pope Clement fled to Orvieto and left Cardinal Campeggi as papal legate in the city. Lorenzo Campeggi's biographer, T. F. Mayer, claims that Henry VIII tried to bribe him by promising him the bishopric of Durham, but he could not find a way of persuading Catherine to change her mind. (16) After several months of careful diplomatic negotiation a trial opened at Blackfriars on 18th June 1529 to prove the illegality of the marriage. It was presided over by Lorenzo Campeggi and Thomas Wolsey. 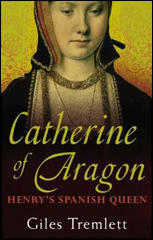 Henry VIII ordered Catherine to choose the lawyers who would act as her counsel. He said she could pick from the best in the realm. She choose Archbishop William Warham and John Fisher, the Bishop of Rochester. Henry VIII also blamed Lorenzo Campeggi for the situation and in August 1533 he lost the revenues of Salisbury, and on 21st March 1534 was deprived by act of parliament. 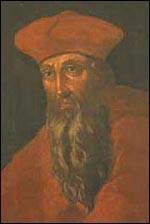 Back in Rome he joined the commission which decided Henry's excommunication in 1535. Lorenzo Campeggi died on 25th July 1539. When the Pope's representative, Cardinal Campeggio, came over to England in 1528 to try to arrange an amicable settlement, he found Catherine immovable in her determination to defend to the last the soul and the honour of her husband and herself. She utterly rejected the suggestion that she should give in gracefully and retire into a nunnery. She had no vocation for the religious life and intended to live and die in the estate of matrimony to which God had called her. But, she told Campeggio, she was an obedient daughter of the Church. She would submit to the Pope's judgement in the matter and abide by his decision, whichever way it might go. Unless and until judgement was given against her, she would continue to regard herself as the King's lawful wife and England's Queen and nothing, declared England's Queen flatly, would compel her to alter this opinion - not if she were to be torn limb from limb. If, after death, she should return to life, she would prefer to die over again rather than change it. Showered with gifts by both king and cardinal, Campeggi became a stout English partisan, as well as an imperialist. Although formally appointed cardinal-protector of England only on 22 January 1523, he effectively filled that office from his return to Rome, when he also became a member of the Segnatura di Giustizia and a papal secretary. Despite his new official role, however, Campeggi was not involved in much English business, except for the referring of episcopal provisions in consistory. The election of Adrian VI in 1522 cemented Campeggi's position in the curia and as agent of England.... On 2 December 1524 he received the bishopric of Salisbury, which he had been promised in 1518. The election of Clement VII in 1523 further exalted Campeggi's status. He was then also a member of Johann Goritz's humanist sodality. Clement made him bishop of Bologna on 2 December 1523 (held until 1525) and then on 9 January 1524 legate to the diet of Nuremberg. During the sack of Rome in 1527 Campeggi lost everything. Clement, who fled to Orvieto, left him behind as papal legate in the city, just when the time came of his greatest utility to England. Wolsey and Henry VIII expected Campeggi to be malleable when they proposed that a papal co-legate should decide on Henry's divorce from Catherine of Aragon in co-operation with Wolsey. Campeggi had, however, already given a legal opinion to the pope which leaned heavily in the direction of validating the marriage in the event of its being proved invalid.